FRIDAY, Sept. 19, 2014 (HealthDay News) -- Women of childbearing age in the United States should be encouraged to maintain better oral care and visit the dentist routinely, according to a new study from the U.S. Centers for Disease Control and Prevention. Researchers found young pregnant women, those who are non-Hispanic black or Mexican-American, as well as those with lower income and less education, need to improve their oral care. 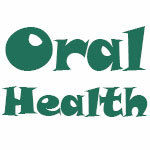 Oral disease, with symptoms such as cavities or gum disease, may be prevented or treated with regular dental visits. In addition to causing pain, past research has suggested that dental problems may be linked to certain pregnancy problems, according to background information in the study. The study's authors noted prenatal check-ups may provide doctors with a key opportunity to encourage women to get routine preventative dental care. For the study, researchers looked at self-reported oral health information compiled on nearly 900 pregnant women and almost 4,000 women of childbearing age (between 15 and 44 years old) who weren't pregnant. The information was taken from the 1999 to 2004 National Health and Nutrition Examination Survey (NHANES). Regardless of whether or not they were pregnant, the researchers found disparities in oral health and use of dental services among women in this age group. The percentage of women who reported having very good oral health was much higher among older pregnant women than younger pregnant women. This suggests that older pregnant women are more aware of their oral health needs and seek out dental care. It could also be that they're more likely to have dental insurance than younger pregnant women. The percentage of younger women who weren't pregnant who said they had good oral health however, was much higher than the percentage of older pregnant women who said they had good oral health. The study's authors concluded this may be because younger women hadn't developed the same cumulative effects of dental disease.